Contrary to popular belief (among casual lovers of language), the "Tuesday effect" is not exclusive to words beginning with the letter 't'; whatever your thoughts of him as a human being or political leader, Putin is a fine example of this. The British pronounce the Russian leader's last name as PYOOtin (pyu:tɪn), while Americans often pronounce it POOtin (replacing the 't' with a glottal stop). This could be considered somewhat odd, given that Americans would not apply the same rule to the word pubescent. Except, there seems to be a linguistically viable reason for this discrepancy: pubescent—much like other exceptions, such as cute, mute, putrid and futile—is of Latin origin, unlike Tuesday. On the whole, it appears that Latin words of this kind deviate from the normal pronunciation pattern we see in American English. If this were not enough, we see another exception whenever the aforementioned letter combinations are placed anywhere other than the first syllable of a word. For instance, consider the tune part in the word fortune; Americans and Brits would pronounce the initial phoneme in the exact same way: CH (tʃ). Similarly, most Brits and Americans would pronounce compute as comPYOOT (kɒmpju:t). So since we understand this rule and since we know that Americans seemingly distinguish (through pronunciation) between Latin and non-Latin words, we can say that the American pronunciation of Tuesday, which derives from Old English, is consistent with particular nuanced rules in American English. In other words, the pronunciation TOOZday is not so much an American attempt to "corrupt the language," but rather an effort to make it more diverse. How do you pronounce Tuesday? Are there any pronunciations in this article that you would contest? Let us know in the comments below. IMHO, I think you're misstating the reality of the British pronunciation, which I would suggest is more like TYOOSDAY, rather than CHOOSDAY...ditto on the other examples such as tune and Tunisia. In the case of the latter, there are also differences in the treatment of the S, as in TOONEEZHA (US) vs. TYOONEEZEEAH (UK). Interesting. The Due/Doo thing doesn't usually bother me but American journalists pronouncing Tunisia as Tooneezsha is doing my head in. I try to watch the BBC World news to keep my head from exploding! Hi, Chris. I find we go either way; I for one pronounce it CHOOZday, as do many people I know. But TYOOZday is, as you say, prevalent too. It would sure make for an interesting study in its own right. Expat mum. Tunisia is, of course, not the only country Brits and Americans pronounce differently. But it certainly stands out more than most. Most Americans (at least in the northeast, where I am from) pronounce fortune as FORchin or FORchun... so we have the same CH, but I've never heard any American say it FORchoon. Expat mum, I think the most appropriate judges of the pronunciation of "Tunisia" are the natives of that country. Not foreigners like us. Tunisians, by the way, pronounce their own country more similarly to the American pronunciation of Too rather than Tyoo. 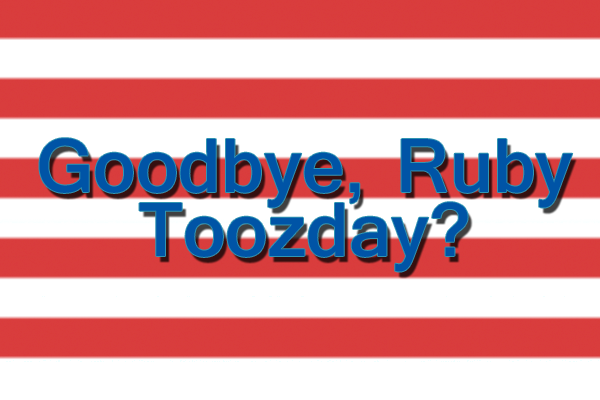 As for Toozday & Tyoozday, they are pronounced in both ways in the States, just as some pronounce the "News" as Nooz & some as Nyooz. There is a false idea that Brits speak proper English when actually South & Central England have gone through a dialectical revolution spanning the last 2 centuries, such as the dropping of the R at the end of words. New England was in step with the changes that occurred in England and therefore dropped their Rs also in copy of the British trend, yet those in the state of Maine kept the original British English, and give one a glimpse of how London spoke before the 1800s when much of England began to lose the ability to pronounce Rs at the end of words. Yeah, the thing is in Arabic Tunisia is far closer to the British pronunciation than the American and obviously it's derived from Tunis, which is pronounced too-nis.